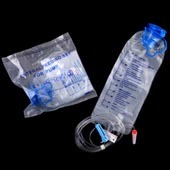 1. made of non-toxic PVC,medical grade. 2. frosted surface or transparent. 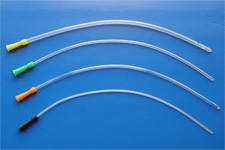 3. atraumatic, softly rounded closed tip. 4. two lateral eyes with smooth edges. 5. radiopaque line (x-ray visualization) available. 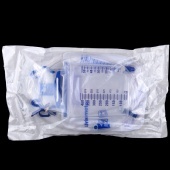 8. peel-off polybag or blister packing. 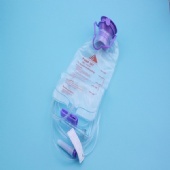 Packaging Detail: 1pc/pe bag, 50pcs/box, 500pcs/ctn, 61*30*37cm/ctn. 1pc/blister, 50pcs/box, 500pcs/ctn, 61*30*37cm/ctn. Delivery Detail: 20 days after received 30% deposit.